likewise. 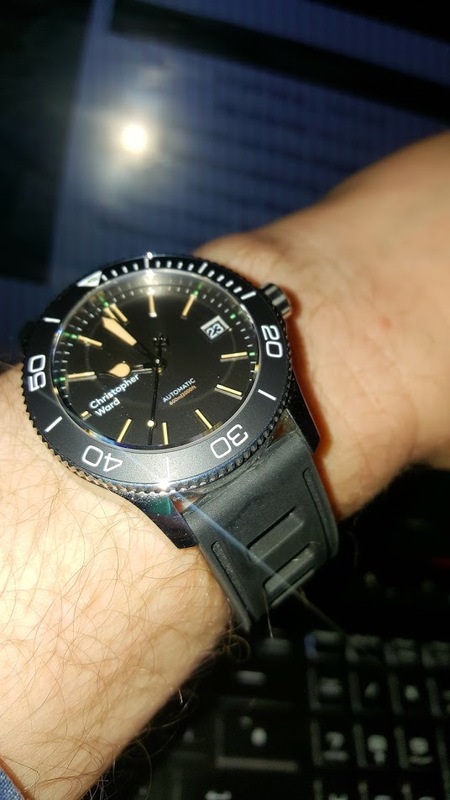 I made a comment below it, stating that I own one and find their quality well above skx and into longines et al territory. Without wanting to start a new thread, although it may deserve one, this is a comment I witnessed online today. How do people view this brand? And they start to appear on eBay already. That must be some kind of record. I can't actually believe what i'm seeing. I assume with the 60/60 if they don't get shifted they will just refund them? Topic: What's been your most worn watch of 2018? Re: What's been your most worn watch of 2018? Between the sarb 033 and the cw c60 vintage for me. Topic: What are your watch plans for 2019? Re: What are your watch plans for 2019? It does indeed look like it alright. I too would take it as a good thing, but at the same time don't want it to happen. This one has the logo in the correct position as well.